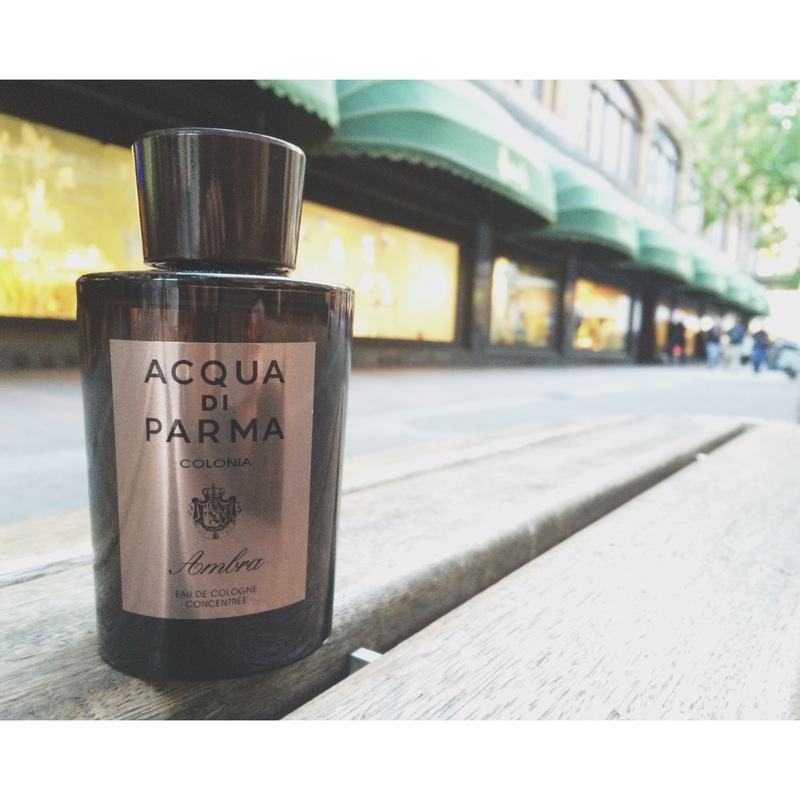 Meet Colonia Ambra the latest fragrance by Acqua di Parma. This latest edition is a gorgeously blended aromatic, complex fragrance with musky-marine shades. It’s also has made perfect use of my favourite notes – orange, bergamot and cedarwood! Originally created in 1916 in the City of Parma and used by Italian tailors to lend a delicate scent to the fabric of their custom creations, Colonia was also used by gentleman to scent their handkerchiefs. It first achieved international success in the late 1930s when Hollywood’s silver screen legends discovered it during their travels to Italy. With the history behind it, you can purchase this exclusively at Harrods from May 2015 and can be found as 100 ml and 180 ml Eau de Cologne Concentre. Follow me on Instagram here! This entry was posted in Beauty & Grooming, Latest News and tagged Acqua di Parma, beauty, Fragrance, menswear. Bookmark the permalink.